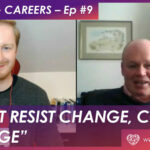 Inspiring Careers Episode #2 – Pharmaceutical & Life Science Industry Edition. James Battisti – PharmaTimes International Clinical Researcher of the Year Gold Award Winner 2017 and International Clinical Researcher of the Year Silver Award Winner 2016 . How did James win the PharmaTimes International Clinical Researcher of the Year 2017 Gold Award? By always saying YES to opportunities. Check out our interview to hear more about how James became an international award winner. 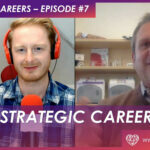 Episode #2 of Inspiring Careers gave us a great chance to hear from double award winner James Battisti, who won the PharmaTimes International Clinical Researcher of Year Silver Award in 2016 and then won the Gold Award for the same category in 2017. 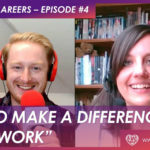 In this interview, James gives some excellent advice for Clinical Trial Administrators who want to make the most from their daily work and the opportunities that present themselves in this role. I also asked James about how he came to be a double award winner, what that opportunity looked like, and what he needed to do in order to make the shortlist for those awards. I have always been a big believer that if you want to be known as a successful person in your industry then you need to be SEEN as a successful person. It’s no good doing and achieving great work if no one knows anything about it. If you want to be headhunted for top roles then you need to capture the attention of those who are responsible for hiring new staff for those top roles – and what better way to do it than by winning industry awards! Click on a video below to learn from James and receive some great advice about furthering your career as Clinical Trial Administrator. 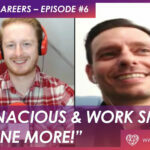 My favourite piece of advice from James was when he told me to always have an attitude of saying yes, even if you think you can’t do something he goes on further to say he has progressed in his career because he has always been proactive in looking to gain as much experience as he could within the shortest amount of time possible. Thanks for watching! 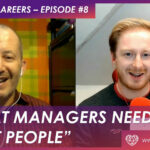 Check back soon for our next episode of Inspiring Careers! NextDon’t be Afraid to Fail!